In the big gym on the first floor of the BU Student Activities Office building. This is the third competition ever to be held in Boston, and the first at BU. The cost to compete is $15 USD, and the competitor limit is 130. Spectators may attend free of charge. There will be no registration or payment at the door. You registration will not be considered complete and you will not be added to the competitor list until you have registered and paid. The cost for this competition is $15. You must register and pay online via stripe to compete. There will be no registrations at the door. Full refunds will be given to anyone who requests a refund before 8pm EST on April 27, if there is someone to take your spot. We will have a waitlist for this competition with a maximum size of 20 people. If registration is full, please register without paying. You will be notified at least a week before the competition if you have made it off the waitlist, in which case you will have 24 hours to pay the registration fee. Please contact matt@cubingusa.org if you have any questions about this process. The groups and staffing assignments for this competition can be found in this pdf. For each event you are competing in, you are assigned to help in one or two heats. You may also be assigned to help out in another event. YOU MUST SHOW UP TO THESE ASSIGNMENTS AND HELP! IF YOU DO NOT, WE RESERVE THE RIGHT TO DISQUALIFY YOU FROM COMPETING IN THAT EVENT! First time competitors are not required to judge. By plane: Logan Airport is a 20-30 minute drive from the venue. By train: The nearest T station is BU Central, on the B branch of the Green Line. A map of the T can be found at https://www.mbta.com/schedules/subway. From lot H, to get to the venue, exit the lot the way you drove in, turn left on university road, walk completely past the school, and turn left right before Storrow drive into the building. There are many hotels nearby, ranging in price. You can find them at http://bit.ly/2nnnu7g. There are many options for lunch. The George Sherman Union is next door and has a food court on the ground floor. There are also many food options nearby and on Commonwealth Avenue for those who would prefer more options. You can find more info at http://www.bu.edu/dining/where-to-eat/retail-dining/union-court1/. Due to lines at the food court, we recommend leaving and getting food once you finish pyraminx, this way we can stay on schedule and potentially even be early. 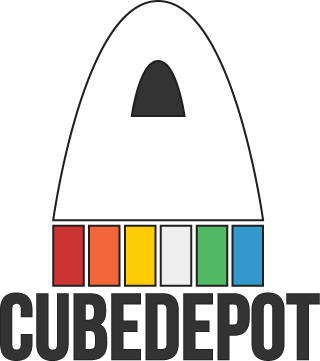 This competition will be sponsored by Cubedepot! They will be vending and supplying prizes for the winners!